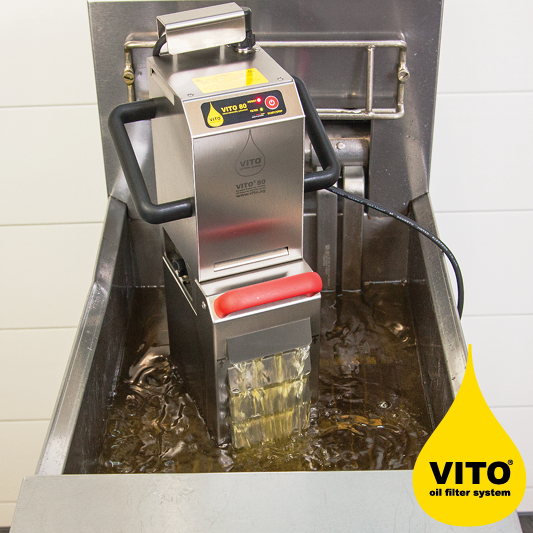 Specialized in frying oil management, VITO is the global market leader in portable oil fltration. 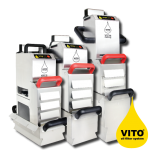 Their constantly growing distribution network spans over 150 countries worldwide and the VITO product line is used in over 35.000 kitchens on a daily basis. In general it can be said that frying oils have diferent qualities and characteristics. 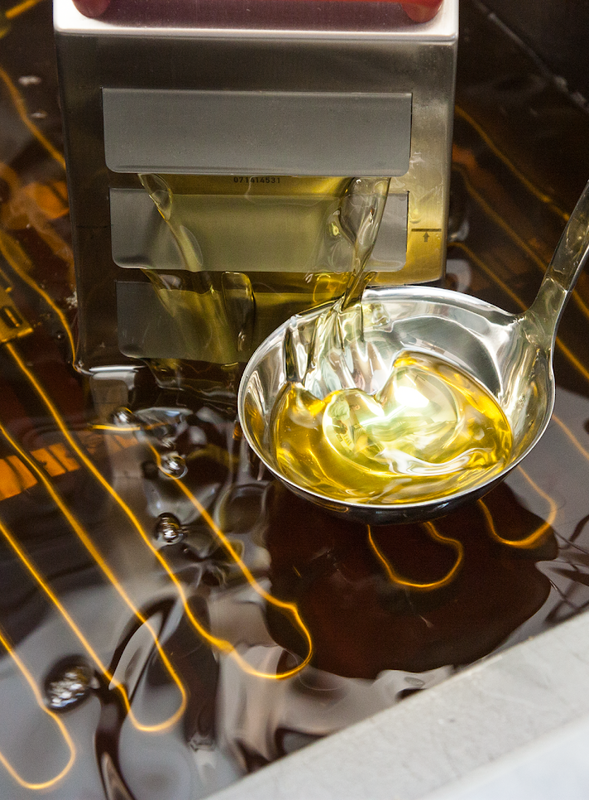 Frying oil causes permanent costs, which are sometimes the highest running cost beside the staf. The average price of oil difers from country to country, the average worldwide is about 1,60 €/ltr. Frying oil does not only infuence the quality of fried dishes, but also the taste and its appearance. 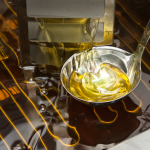 There are many diferent kinds of infuences that efect the quality and therefore the TPM-values* of frying oil. The graphic above shows you that diferent kinds of food, the temperature of the fryer, water, dust and even light, all have a huge impact on the lifetime of your oil and its quality. 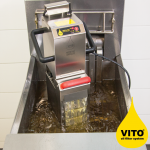 The VITO product line will help with your frying oil management. 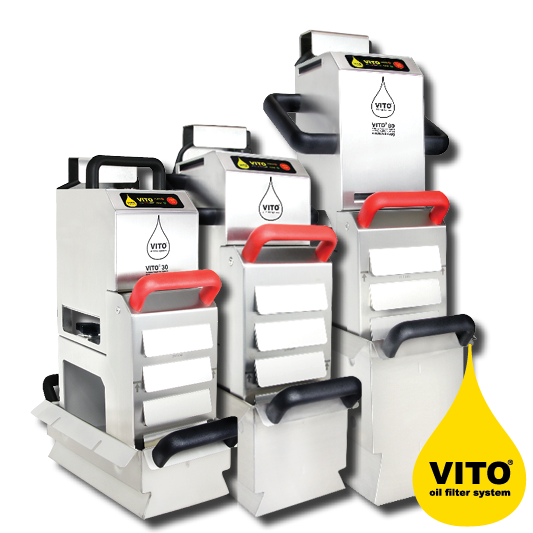 The VITO oiltester will help you to measure the quality of your oil. So you will always change at the right time – not too early or too late. 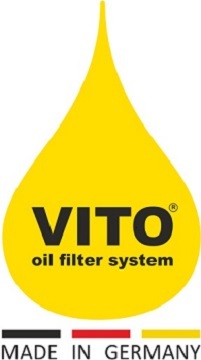 The VITO oil flter system cleans your oil, ensures its quality and saves up to 50% of it.